S4GRU received a tip from one of our members in Northern Indiana ten days ago Network Vision was spotted underway in the Ft. Wayne/South Bend market. 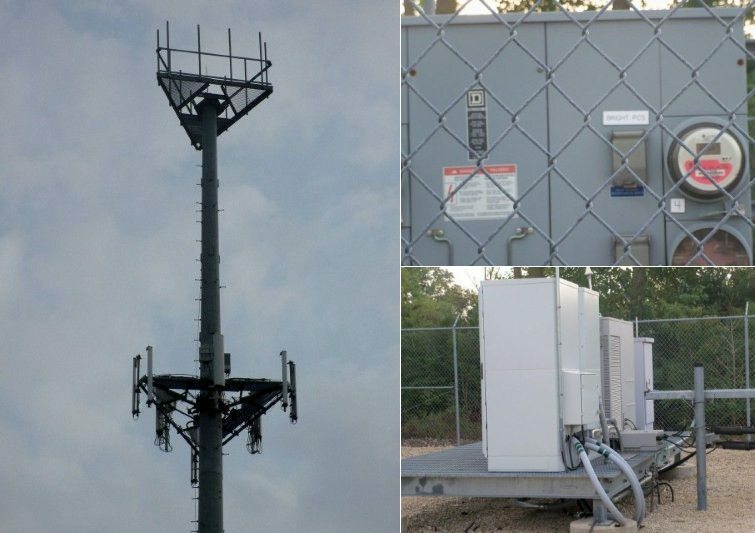 He was able to take some photos (below) to show that new Network Vision panels indeed have been added at Site #CH03HO119 located on the south west side of Elkhart, Indiana. Yesterday, S4GRU members found Sprint LTE signals in this vicinity, reaching all over the south side of Elkhart out toward Goshen. Hurrah! Several members went out and started adding this coverage to Sensorly.com coverage maps. Sensorly has an Android app that people can download which can be used to upload 4G LTE coverages of wireless carriers to Google maps for tracking (and 3G/2G signals too). This is welcome news to Sprint customers in Northern Indiana. This work is also a little early based on the Network Vision schedules S4GRU has. Some of our members have joked in the past that this market gets preferential treatment from Sprint, because the Sprint CEO Dan Hesse went to school at Notre Dame. 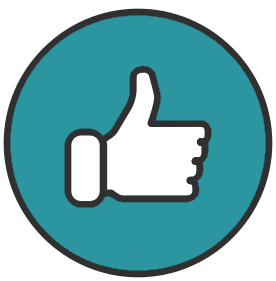 Although we have no evidence of any favoritism involved here, we are always happy to see any Network Vision progress and report it back to you. Site #CH03HO119 in Elkhart, Indiana. The new Network Vision panel that contains LTE is in the middle of the bottom rack on the tower. The legacy PCS panels are on both sides. Photos from S4GRU member C.A.R. This is the first evidence of Network Vision/LTE deployment we have discovered in the Ft. Wayne/South Bend market. Deployment is likely beginning over the entire market and will soon be in all corners, even the Fort Wayne area. However, only the communities of South Bend/Elkhart, Warsaw and Marion were included in the next 100 city list Sprint released a few weeks ago containing names of communities expected to have a launchable amount of LTE service before the end of 2012. At this point, it seems that other communities in this market will likely not have enough LTE service to constitute the service launched until some time after the New Year. In the interim, LTE signals may come and go around the South Bend/Elkhart area. They are just in the infancy of deployment. Sprint has been pretty consistent in blocking LTE connections at completed sites after they accept the improvements from the Network Vision OEM/subcontractors. Also, it may not be surprising to see isolated LTE signals appear in other Northern Indiana Sprint communities. This market also contains a remarkable amount of 1x sites. Sites that essentially only have 2G speeds, never receiving 3G EVDO upgrades. It is believed that these sites will go from 1x service only to 3G and 4G LTE at the same time. Essentially skipping the entire 3rd generation of wireless service. There are thousands of rural customers looking forward to having a 3G network finally, at the same time they get 4G wireless broadband. 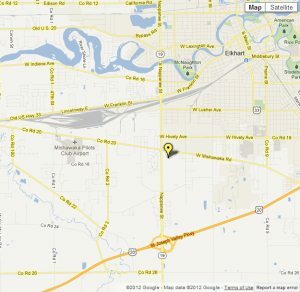 Sensorly.com LTE coverage map in Elkhart, Indiana. Several S4GRU members hit the road and plotted LTE signals using the Sensorly Android map to illustrate some of the coverage by the new site. This is really good news, IMO. It tells me that even though one market may fall behind, other markets can move ahead, which is a very good sign! I am going to have to go out and take some pictures of the tower to the East of this one. I did the Sensory mapping and where the pink lines end to the west is where LTe ends. I was not able to pick it up driving west of the this tower or north of it. Though I was able to get LTE farther south east than what is shown on the posted map, it is now updated on sensorly. I also did speed test at the intersection of SR 19 and US 20 and got 1.8 mbps but while near tower CH03O136 at the intersection of US 33 and US 20 I was getting 11 mbps speeds. As far as I could tell in each direction I went from CH03O136 speeds decreased. This is FANTASTIC news. iPCS really left this market in severe disrepair and these changes are very welcome news for me (I live in the area). eHRPD started broadcasting yesterday from Fort Wayne to South Bend and back. I was up somewhere between Kimmell and Ligonier and saw what i think was a NV site. It had a single panel with big ol RRH on the back of it. I thought it was interesting to see such a thing way out there. I will keep a look out in Fort Wayne and post photos of any NV sites. I haven't really noticed any at this point. I can comfirm complete South Bend coverage and about 60% Elkhart coverage. Speeds are still slow in my opinion for 4G, but you have to start somewhere and just getting off of 3G will help everyone on both 3G and 4G. Very glad to see it earlier than expected. I was glad to see iPCS get bought out by Sprint. iPCS held this market back for a long time. Use to work for Sprint in South Bend and having to manage two seperate account types was a nightmare.